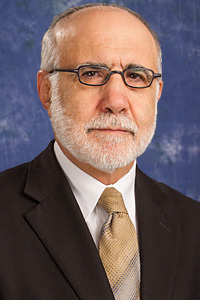 Partner Aryeh Levy, brings over 35 years of public accounting experience, as well as a sterling reputation. He is the audit partner overseeing audits, reviews, compilations and other attest engagements including personal financial statements. Those benefiting from his expertise have included, among others, service, distribution, and manufacturing companies, physicians, real estate ventures (including HUD projects), and retirement planners. Aryeh also has extensive experience in tax planning and return preparation. He handles multi-state corporate tax issues as well as complex individual income taxes including taxation of individuals and businesses operating overseas. He regularly consults on various accounting and tax issues with accounting firms around the world. Foreign asset and income reporting is another field in which Aryeh has great expertise. He specializes in the taxes of US citizens with foreign assets and income, or are living abroad or are shareholders of foreign corporations. He frequently works with US citizens who are dual-citizens from numerous countries in Europe, the Middle-East and the Far-East. Aryeh also handles the taxes of US non-residents with US income. Aryeh was raised in Jerusalem and received his BA degree from Hebrew University of Jerusalem. He is fluent in Hebrew. He works frequently with Israeli attorneys and CPAs serving the tax needs of US and Israeli dual citizens.